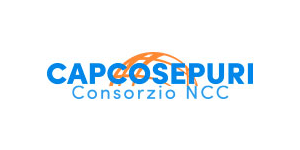 Cap-Cosepury Company makes short transfers from Florence railway station Santa Maria Novella or from Firenze Rifredi or Firenze Porta al Prato railway stations. It is possible book a transfer from Pisa railway station which is situated just outside Galileo Galilei airport or from other Italian airports. Furthermore we provide transfer from major maritime links and harbours (Livorno, Piombini, Genova, Civitavecchia ..)from/to hotels, from/to private addresses. Thanks to our wide selection of cars it is possible booking our transport service for big groups and Tourist excursion as well. Mini bus has a capacity up to 20/35 passengers, coach up to 50/80. Our transfer chauffeured service is a kind of shuttle service but elegant, appropriate and chic. Some of the most requested destinations. Do not hesitate to contact us for information about not mentioned destinations.